I’ve been thinking lately about the impact of hormones in our lives. Girls and women have to deal with this from an early age and it impacts very differently from person to person. It’s amazing to think 50% of the population will suffer at some stage to something out of their control. One thing is for certain though, all women experience something in our lifetime, whether it’s puberty, childbearing years or menopause. Things like period pain, masses of bleeding, PMS, exhaustion, headaches, memory blips, mood swings, acne, weight gain, weight loss (yes, that happens too…), low libido, high libido, skin changes, hair thinning, depression etc. The list is very long!! These issues can have a massive impact on a woman’s life and everyone around her, yet it’s not something we talk about often enough. A lot of men, in particular those inexperienced with women, have no idea of the battles that go on. Even some men who have female partners are in the dark why their women turn into ‘moody cows’ at times. I think it’s up to us women to educate the men around us and explain what to expect at times and why it happens. Sometimes we have choices and can control what happens but a lot of the time, we can’t. The more we talk about it from an early age, to both our sons and daughters, the easier it will be for everyone. Our kids also get to see sides of us we wish they didn’t have to but yet again, talk and explain. As always, understanding and knowledge is power and we have to help ourselves and our loved ones by taking charge of this. We can’t wait or expect others, like the school or friends, to explain to our men and children. Also, in a work environment, this is very common. We have to talk to our co workers when needed. They can’t read our minds and understand what is going on. Having said that, please be supportive of the female staff during certain times in their lives. It’s hard enough having to cope with yourself, let alone everyone else around you. I used to get dreadful hot flushes at any time of the day. In my work, I do 1-2-1 sessions and sometimes a flush would hit me. I’d go red and start to perspire. Not a nice look or feeling. When that happened, I had to explain that it was not about them and their story, but me and my menopause… At least they knew and I felt better for explaining. Awareness is key. Educate, train and encourage communication. It is needed all around us so get talking! So, it’s been in the news lately about the connection between mobile phones and sleep deprivation. In particular, it’s been concerning children and ensuring they get enough sleep which is a national problem, and was highlighted on the BBC news this morning. We all need our sleep to function properly and children need it even more in order to allow their brains to develop the way it needs to. There is lots of data and research as far as sleep goes and it’s being done for a reason; sleep deprivation is affecting people everywhere. It’s not just about individuals and their personal needs, it’s very much about us as a society. Sleep deprivation affects our ability to function properly including concentrating whilst driving and working. Productivity is affected for both adults and children. There are a few variables as we do have different needs dependent on fitness levels, weight, health issues etc. Overall though, we all need to sleep undisturbed to function and allow our brain to rest. This includes leaving phones turned off and preferably away from the bedroom. A child should never have a phone or any electronics in the bedroom as it makes it too easy to be reachable. My daughter was one of them a few years ago, she kept on getting messages from needy friends in the middle of the night and it disturbed her sleep badly. I had to step in and remove it and told her to tell her friends she has the worst mum in the world! The need to be available 24/7 is creating a society that is unhealthy and stressful. What choices do we have? At what stage do we realise what this is doing to our health? As parents, we are the adults and decision makers for our children when it comes to knowing what’s best for them. Dare to be the ‘worst parents in the world’ because that comes with being the loving, caring parents we need to be. Boundaries are necessary for a child to learn right from wrong and they will thank you later on! You may have heard these words being bandied about: Baby boomers (if you were born between 1944 and 1964); Generation X (born between 1965 and 1979); Millennials (born between 1980 and 1994) and our new generation that is coming through, Generation Z (1995+). The millennial generation is now firmly entrenched in the workforce and it’s predicted that by 2020 they will make up 35% of the global workforce with Gen Z making up 24%. This means that by next year almost 60% of the workforce will consist of employees under the age of 40. Research indicates that millennials both present and face of a lot of challenges to the workforce and society. They are a unique generation with more than 1/3 living at home with their parents with very few owning their own homes. They are also much less likely to buy cars. At work they prioritise work-life balance which some older generations tend to label as showing no work ethic. Many millennials are self-employed or have additional business interests in addition to their main employment. They tend to move jobs every 18 – 24 months and they do not have the same needs (long term stability) as their older employer/ees. 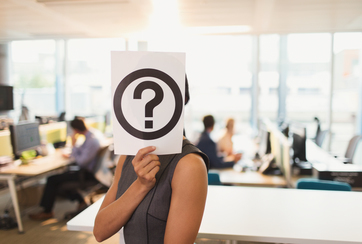 This has led to concerns over high employee turnover problems in organisations and the associated costs. Employers today have the challenge of providing the right type of work environment for millennials as well as being able to take advantage of the strengths that millennials offer. Statistically, they are usually good team players and good with diversity and inclusivity. They are technology savvy and almost never ‘unplug’. One solution that Companies offer millennials is the ability to work flexi-time or work remotely. Research shows that millennials prioritise constant feedback and are very goal-oriented with a strong sense of fair play. 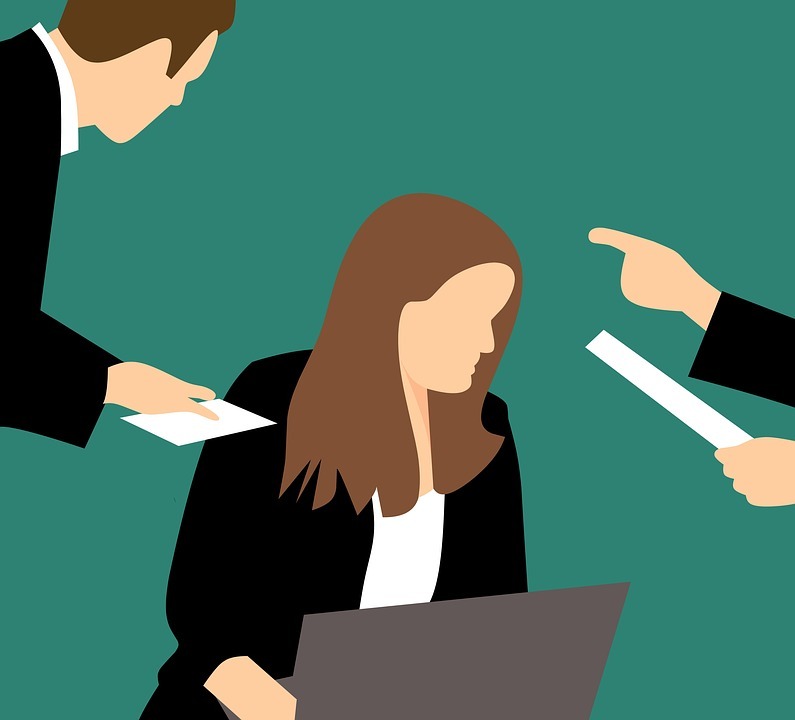 They believe pay should be individual and not ‘role’ or ‘experience’ driven which can lead to complications with larger organisations with set tiered or banded employee categories. Finally, millennials want to work for Companies with a social conscience and that they feel are making a difference. So, to attract or retain millennials, it appears you need to develop an organisational culture of inclusivity, diversity, social responsibility and tolerance with a strong focus on pay and job culture! Let the work and the conversations continue…. Connections are all around us. To me connection is a positive word. It means I have a link with someone that, generally speaking, is a good one. Some connections remain for a long time and others are shorter. They all have their purpose and that’s OK.
How do we connect with people today? It used to be mainly through school, friends, work or family. Today’s connections are made in all sorts of ways. Social media, chat rooms, dating sites etc. LinkedIn is one. I would like to know more about people I connect with, but how do I do it? At what stage does contacting someone via message or email become a nuisance? What is the LinkedIn etiquette? We are all on LinkedIn for a reason. Why else would we make the effort to be on here otherwise? I am here to connect with people and hopefully meet them to see who they are and what they do. My livelihood depends on making connections to get work. Being a small independent business is difficult but I love what we do. Making a difference to someone is a rewarding place to be. Even if only one person that attends a workshop learns and changes something in a positive way, it’s worth it. What do other small companies do to get business? I know this is relevant to a lot of people! Suggestions and thoughts are welcome!! When we joined forces, Åse and I were both working predominantly with parenting and we were both extremely passionate about its importance and the family structure. We wanted to focus on this notion of ‘family’ - hence our choice of Company name, Family Focus UK. In most societies, the family is the principal institution for the socialisation of children. We believe that family is a lot more than your birth connections. Family is your community that you build around you. Your work colleagues, football club, your Church, your choir, your neighbours and school friends. Family is the unit you connect with that brings value to your life and gives you purpose. Family can be given to you with birth, or you can create it yourself by forming relationships and connections that matter. So - who is your family? What are you doing to protect them and nurture them? Do they know that you consider them family? If so - show them! 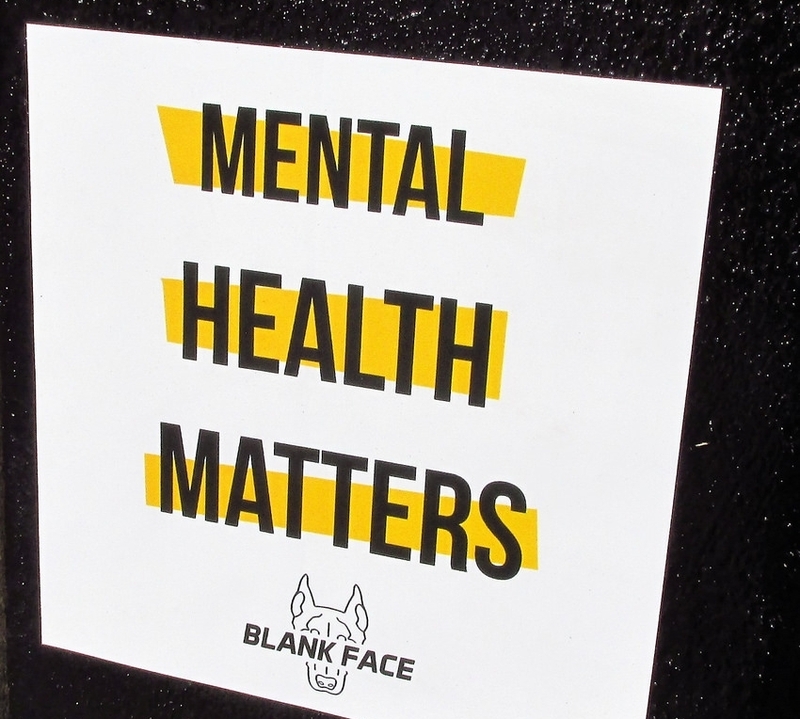 We’d like to highlight the amazing work being done around the world to both prioritise and de-stigmatise mental health. World Mental Health Day tomorrow is about supporting each other and having conversations to enable and encourage open and honest dialogue around wellbeing and mental health. It was interesting how little hesitation there was when they answered this question. It was absolutely, without doubt, social media that was seen as the hardest thing to cope with as a young person today. Next was stress. Our young people are feeling a lot of stress around school work and exams! With this question, there was less of a theme. Some responses showed they knew a bit, but not necessarily enough or didn’t feel confident to reply. There were a variety of answers. What was encouraging was how open and honest the young people were in their responses and how they did not shy away from the questions. They certainly seemed to be aware of mental health although not necessarily as confident or unanimous in their replies.. So our job then would be to keep the mental health momentum that seems to be with young people today going. To keep the conversations flowing so that when they enter the workplace this type of conversation and relatability is standard practise. And something else we can do. We can add our voice in support of World Mental Health Day by wearing a green ribbon or something green tomorrow, 10th October 2018. If you feel it or think it….SAY IT! A Poll taken by the WorldMentalHealthDay showed how important awareness and education is! What is Wellbeing in the Workplace? If you work in any organisation, chances are you have come across someone who is battling with mental health or stress. The latest statistics* show that 3 times more people are susceptible to losing their jobs because of poor mental health than physical health. It also found that over 300 000 people leave employment each year due to long term mental health conditions. In addition, the Government’s green paper on mental health (released May 2018) shows that 1 in 4 people in the UK will present with a mental health problem at some point. Most common will be anxiety and depression, often triggered by a change in circumstances or a life changing event (death or divorce) but often stems from work situations. In a nutshell, wellbeing or mental health refers to how we feel, how we behave and our thinking processes. The most common trigger in a workplace is stress which often presents in physical reactions (higher blood pressure, pain, headaches etc). Stress is how you react to a stimuli (either real or perceived) as well as the intensity of that experience (once-off or prolonged). The important factor is what is causing the stress and how the two are related. The Stevenson/Farmer report reviewed the role that employers can have in supporting the individuals in their employ around wellbeing and mental health. They set out a framework of actions known as ‘Core Standards’. These are a set of recommendations to help employers improve the conditions in their workplaces to enable employees to both communicate about their mental health concerns, cope better and ultimately thrive. They call on Companies to ‘take action’ and be responsible for helping to manage and prevent stress at work. This starts with awareness and knowledge. Not only of yourself and your stress but also of your team and colleagues. What are the red flags? What must you be aware of? If you experience this yourself, or spot something, what do you do? Family Focus UK was set up in direct response to these questions – focusing on emotional wellbeing and providing knowledge and support to adults and adolescents, working or not. We believe that information is key and even a small step in an altered direction can have a big impact on how you and others feel. So, if you are not sure what to do – why not start with giving us a call to do a wellbeing needs analysis of your workplace.. Or read the report below and start a conversation around this topic in your office. Most of us will relate to the word ‘perfectionist’ and will probably have images of someone who can’t leave things undone; who sets extremely high standards for themselves and others; often appears stressed and under pressure and seems to be intolerant of those who don’t behave or perform to their high standards. Perfectionism is one of those character traits that can be a real positive (if channeled correctly) but can also be a big contributor to stress and burnout. 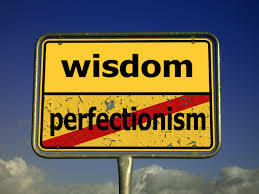 So what are the characteristics of perfectionism? Fear of failure: You see failure as a reflection on your abilities or your value. All or nothing thinking: You are very black or white – right or wrong. You have a tendency to extremes. Defensiveness. You hate criticism and often get very defensive if you think someone is pointing out your weaknesses or (perceived) failures. Finding faults with yourself and other:. You are often on the lookout for imperfections in yourself and others. You tend to be largely overcritical of any mistakes and feel it’s important to correct people when they make a mistake. Inflexibility: You have a very high standard for both yourself and other people that is a rigid line that needs to be met. You often say words like ‘must’ ‘should’ have to’ when you speak. Excessive need for control. You like to control other’s behaviour and thoughts as you see it as helping them from making mistakes (whether they’ve asked for help or not). Difficulty delegating: You will often say to yourself ‘if you want this done right – do it yourself’. You have a tendency to micromanage others around you. The biggest concern with perfectionism is the link between these ‘workaholic’ behaviours and the drain on your mental and physical energy. The relentless drive to work to perfection leads to a very rigid thought process and an increase in your body’s (negative) stress response. Perfectionists often experience anxiety over their performance as they feel unable to live up to (often) unrealistic standards. Often, a perfectionist creates a cycle of behaviour where exacting standards (which cannot be met) leads to more effort in a strive to achieve and then perceived failure which starts the cycle again. This will affect your energy, your emotions and ultimately your relationships, home life, relaxation and your ability to work. The result is often burnout, depression or the inability to cope with your levels of stress. So, before your perfectionism traits start to manifest in excess stress or failed relationships. Ask yourself some questions and do some reading about how to combat the negative effects of perfectionism and channel the positive traits. Have you come across this word 'presenteeism' and not been entirely sure what it means? We all know about absenteeism, but today presenteeism is a real problem and cost to Companies. Absenteeism – The practice of regularly staying away from work (or school) without good reason (high levels of absenteeism caused by low job motivation). Presenteeism – The practice of coming to work despite illness, injury, anxiety etc, often resulting in reduced productivity. The practice of working longer hours at a job than needed, often as a result of insecurity about that job. An article in the Sunday Times by Karen Higginbottom (Nov 2017) referred to a CIPD survey done in 2017 where 72% of organisations observed presenteeism. They found an alarming increase in both the prevalence of presenteeism and the related cost to organisations. Statistics are now stating that the costs of health-related presenteeism far outweighs absenteeism. One of the reasons that we are talking about presenteeism is its link to employee wellbeing. It is often associated with companies who have a culture of working long hours or very demanding industries. Added to this is job insecurity; worrying about letting a team down; concerns about work records and HR performance reports. One of the biggest concerns is that very often senior leadership or management are demonstrating these work habits making it seem to be the expected norm for all employees. This leadership attitude of ‘I can cope with anything and work best under stress and extremely long hours’ filters down and creates unrealistic expectations in the organisation. But there is hope. Many organisations are now working hard to create a wellbeing strategy to develop a culture of acceptance and realism in order to combat presenteeism. This includes allowing individuals in an organisation to feel in control and autonomous in their roles. Giving them a chance to voice issues and concerns to their team leader and creating a more flexible and open working environment. The goal? To create a positive culture where hopefully presenteeism will be the unpopular choice and will be the exception rather than the norm. So. If any of this has resonated with you. Time to take a look at how you work, when you work and what you are achieving. Or maybe simply – time to talk to someone about how you are feeling at work. We recently listened to an interview with Geoff McDonald on CNBC (can be viewed here: https://www.cnbc.com/video/2018/08/17/musk-should-take-time-out-to-focus-on-mental-health-campaigner-says.html ) talking about whether Companies should employ people who have disclosed mental health concerns. This reminds us about the perceptions of people regarding mental health and those who have had mental health issues. Last week our blog focused on 'leadership and resilience' and the importance of leadership modelling resilience in the workplace. The need to prioritise mental health and wellbeing in employees sits at the feet of the leadership team, but awareness is key for every employee. Most Companies have health and safety policies in place, but how many of these include mental health and wellbeing policies? The interview by Geoff has reminded us that in order for employees to be productive and for workplaces to thrive, there needs to be mindful practice of physical, mental and emotional wellbeing. Given the amount of time people spend at work, it is impossible to delegate 'wellbeing' care to home life. The onus has to fall on the workplace to provide input into these areas in order to create the energy and sense of purpose that each employee needs. More and more organisations are starting to understand the real value in taking care of the 'whole' employee which includes physical, mental and emotional wellbeing. Mental Health First Aiders are being trained, leadership teams are being brought on board and networking is taking place to prioritise these issues (eg http://www.mindsatworkmovement.com/). It is up to each person who has a position of leadership to role model openness and acceptance of questions and concerns around mental health or emotional wellness. To be frank and transparent when it comes to their own personal stress and wellbeing. To not hide behind facades and stigmas but to join the world of reality that so many of us live in - that life is hard at times, stressful and unkind. If leaders are able to voice their own challenges this shows strength as much as their ability to cope with adverse situations. For each employee the responsibility then rests on you to say something. To put your hand up and say 'I need some help' - just as you would if you broke your leg. Hopefully with more talk in workplaces, plus a bit more realism from leadership it may open up a whole new range of conversations and corporate cultures that will keep the tide of talking about mental health moving forward. The definition of resilience in the Oxford dictionary: The capacity to recover quickly from difficulties; toughness. I would also add the ability to adapt to change and not give up when challenges arise. How does this work in a leader role? To what level do we expect our leaders to be resilient? Most of us have challenges to deal with on a regular basis whether it's work based or privately. No matter who we are, all these situations will affect us and can then interfere with our ability to be productive at work. Even a manager or a CEO has times where days are tough for whatever reason! This is where resilience comes in. How long do we allow a situation to affect us and how do we spring back into action? Awareness of the affects is a start, understanding self and the impact adversity has on us goes a long way to learn how to deal with it. I am astounded how many people do not understand their thoughts and actions when challenging situations arise. The more aware we are, the more we can avoid situations where negative behaviour affects our leadership skills. Listening to our bodies and feelings is such a big part of then being able to handle situations in a correct and helpful way rather than compounding the situation and creating additional stress to everyone involved. Change has an impact on everyone, the leaders as well. Working together and being inclusive by communicating and clarifying any decisions, the teams are able to support their leader and feel safe to ask questions. The most common feeling when change happens is to feel uncertain, what will happen to me? Will I be OK? Unless the communication is clear and concise from the leaders, this will affect all involved. SO, what does a person need to do to be an effective and resilient leader? - Being the leader means being a role model. Just the same as being a role model to our children is important, so is being one at work! As a leader you will be observed. If you feel unsure at times; act as if you know what you are doing! Stay calm, focussed, communicate and be encouraging. Show trust by asking for help, delegate when needed and be available. - When challenges arise, take control and ensure you find out what the team needs from you. This creates team spirit and belonging which we all need to get out the other side. - There is no failure, only learning! We all make mistakes and that's OK. Recognise and move on. Yet again, just like parenting; admit/say what happened, apologise, learn from it. 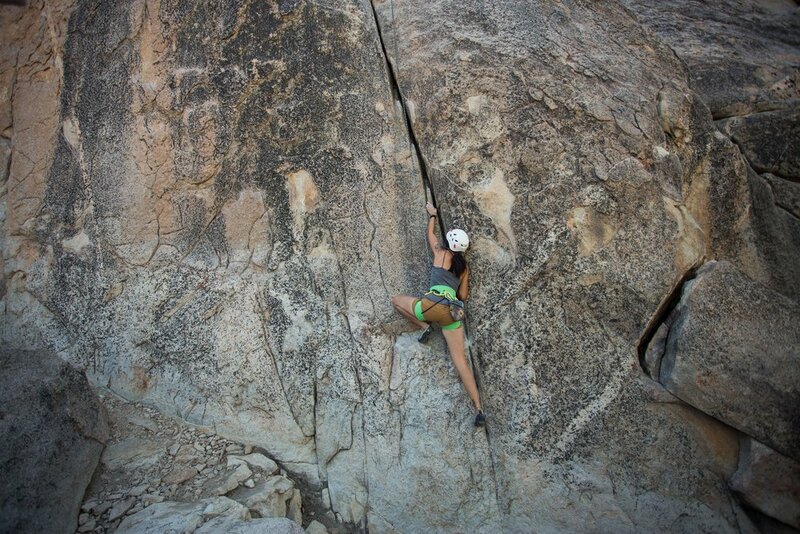 Showing vulnerability is a strength! Look after your most valuable asset, your employees.